Hey kids....Let's put on a show! 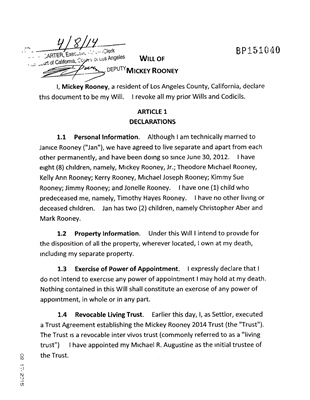 Mickey Rooney was an American actor of film, television, Broadway, radio, and vaudeville. In a career spanning nine decades and continuing until shortly before his death, he appeared in more than 300 films and was one of the last surviving stars of the silent film era. 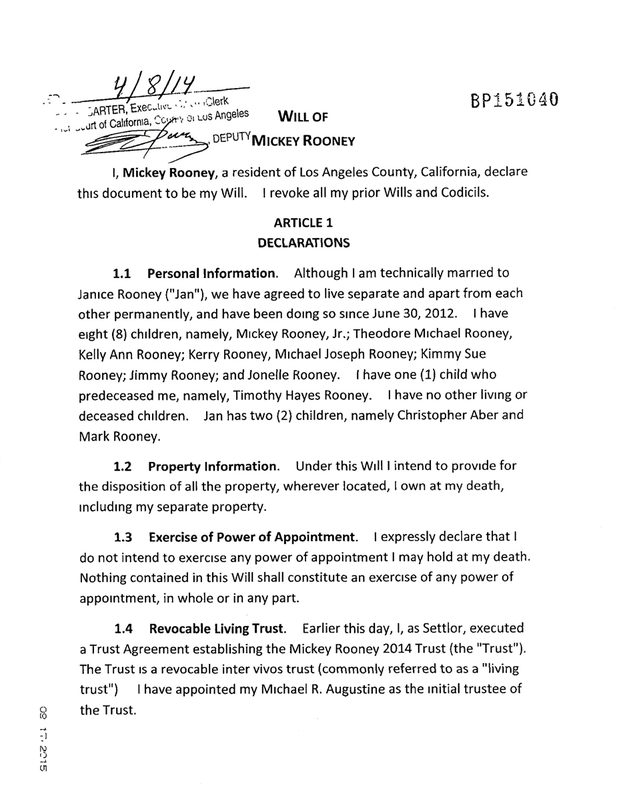 In this 30 page file we offer Mr. Rooney's last will and testament, the proof of publication, a petition contesting the will, and, lastly, a very odd petition asking the Court to prevent the removal of Rooney's remains from the mortuary.